Looking around, it can seem like everything is online these days. While you can shop online, order food and pay for a variety of services, there is still a large population who prefers to handle their business in-person. From utility bill payments to credit line payments, layaway programs to opening new accounts, this population likes to do it themselves. Companies can meet their needs with kiosk payment systems that streamline the user experience. 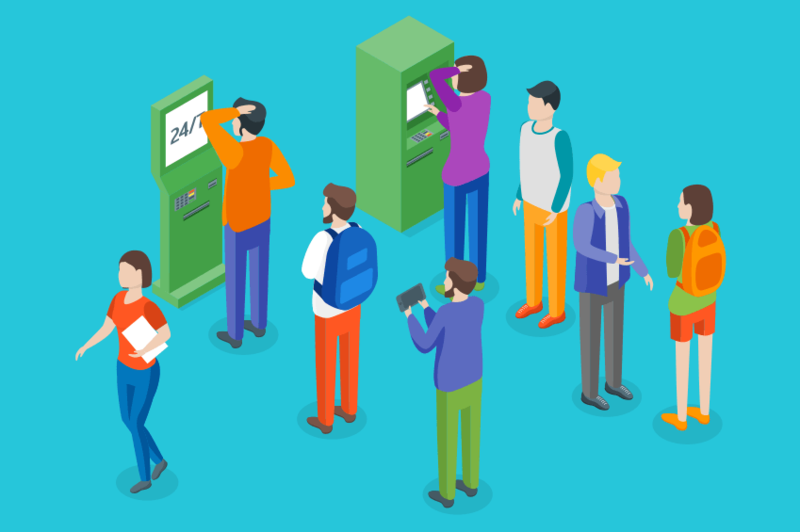 Adding payment kiosks is one thing a company can do to streamline the customer experience. People are used to being able to interact with a company without having to actually talk to a person. They press a few buttons and conclude their business – whether those activities include making a payment or checking on their accounts. When companies offer payment kiosks, they fulfill this expectation. Waiting in line for a teller or account handler is outdated, although long wait times are still an unfortunate reality. This is because people generally get paid on Fridays and certain government benefits are released on the 1st or 15th of the month. These realities create bottlenecks within the system, which could discourage a customer from visiting or frustrate them so that they only complete the payment and never stop to browse. However, payment kiosks eliminate those lines by speeding up transactions and offering more points of contact for the customer. In many ways, this helps customers save time. In addition to avoiding the long wait in line, customers are able to complete their business without all the pleasant interactions that happen when people are involved. Simple niceties like “Hello” and “How are you today?” may improve the customer experience but they take time. Payment kiosks help customers avoid both the wait in line and the time it takes to have a conversation with an employee. Payment kiosks also allow customers to bank anytime. As long as the company’s payment kiosk is located in a place that allows 24-hour access, its customers can make payments, run balance inquiries and even learn about different account options day or night. Plus, depending on the nature of the company, it may be possible to upsell a customer in the middle of the night without paying an actual person to do it. Companies can place payment kiosks virtually anywhere. While installing them in the lobby of a location is an obvious choice, there are many others. Some companies have payment kiosks in shopping malls or 24-hour grocery stores – and that’s only the beginning. Having these kiosks makes it easier for people to make payments or find specific information about their accounts. Adding payment kiosks benefit customers and companies in another way as well – security. With a payment kiosk, payments and interactions are recorded and logged. There is no check to get lost in the mail and no employee who “forgot” to put the payment in the system. Both human error and the possibility of theft are eliminated. Adding kiosk payment systems can help companies streamline the customer experience across the board. They save time and money for both companies and consumers, plus they are more secure and convenient.